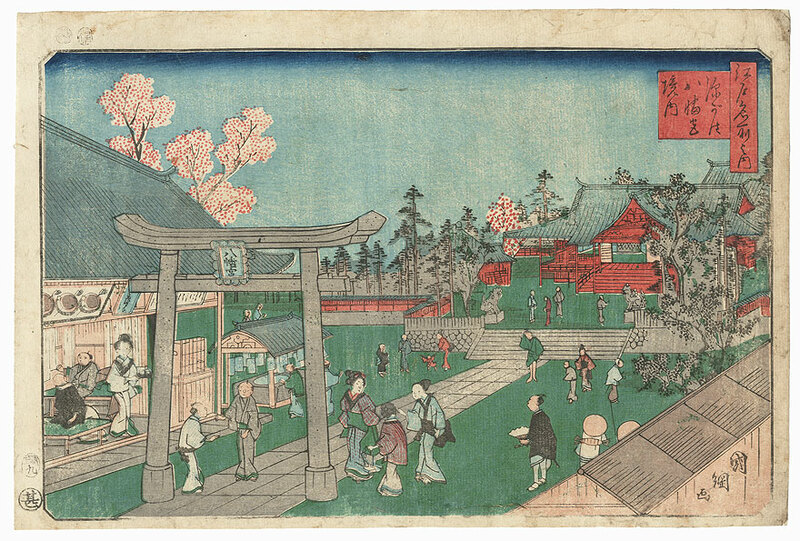 Precincts of Fukagawa Hachiman Shrine, 1853 - Handsome spring scene inside the precincts of Fukagawa Hachiman Shrine, the area dotted with blossoming cherry trees and pines. 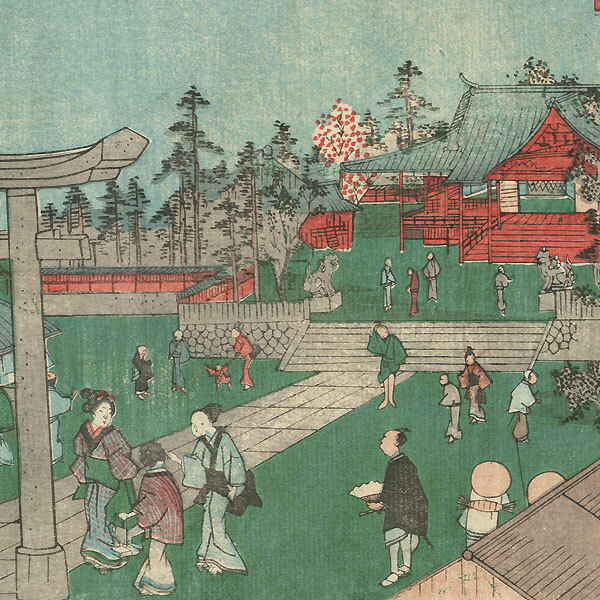 A paved pathway passes through a large stone torii gate, leading to the shrine building at upper right. 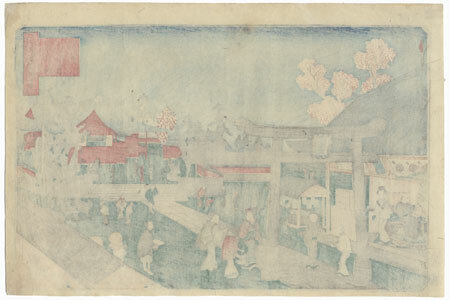 People stroll about the grounds and visit the tea stand at lower left. A charming design. Condition - This print with excellent detail as shown. Small loss at corner, repaired. Slight toning and soiling, a few creases, slight rubbing at edges. Please see photos for details. Good overall.